Did you lose a limb in an accident in Brooklyn? Being injured in a car accident is a very different case than being injured while on the job. 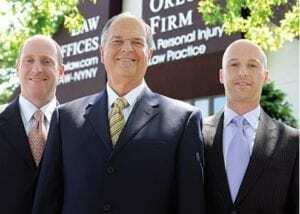 The Orlow Firm is experienced in handling both types of cases. We have represented clients in Brooklyn, Brooklyn, Brooklyn, Manhattan and throughout New York in motor vehicle accidents, falls from heights and other types of personal injury claims. Additionally, we have handled third-party claims for people injured at work. Amputations often have far-reaching consequences that have an emotional, physical and financial toll on you and your family. If you were injured due to the negligence of another, contact a Brooklyn personal injury attorney at The Orlow Firm today to schedule a free initial consultation. Let us help you receive the justice you deserve.